Clever Bulletin: Justin Bieber BOOED By London Fans After Super Late Concert Arrival! Justin Bieber BOOED By London Fans After Super Late Concert Arrival! Being 19 isn't getting any easier for for The Great Bieberoni Boo-beroni! Justin Bieber was in for a rude awakening tonight when he took the stage in London and concertgoers booed him! What!?? Who DARES boo our perezcious JB!? Well, from what we hear… Justin may have had it coming! Canadian cutie Carly Rae Jepsen finished her opening set earlier in the evening, but after waiting over an hour his heinous to take the stage, the fans grew restless! 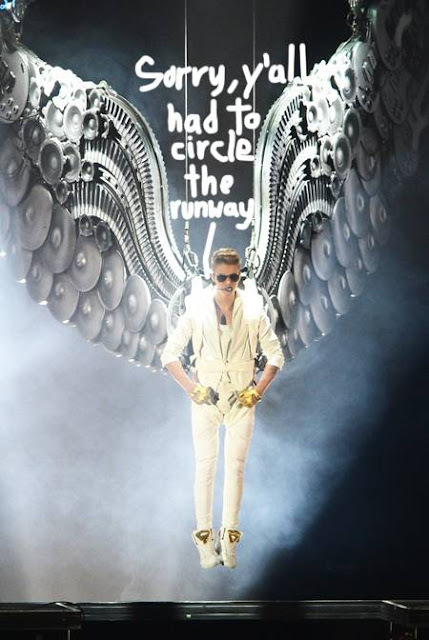 "I was at the concert and he [Bieber] came out at 10:15 p.m. and Carly Rae Jepsen finished her set at 9:10 p.m.. Justin should have been out at 9:30. Everyone was kept waiting not knowing anything. All they did was kept playing Michael Jackson songs. All the fans were getting so annoyed at around 9:50 p.m., fans started booing." We love MJ as much as the next gal, but you can only expect even the most patient of fans to wait for their beauty and/or a beat for so long before getting angry! "I stayed! But many people left early as the last underground train was at 12 a.m., so people needed to get home. He didn't even apologize. That's what makes it worse…My mom paid for five tickets so she's not happy." Say it ain't so, JB! That just sounds… kind of rude! It's a good thing Olivia Wilde wasn't in attendance, she might've thrown tomatoes at him, LOLz!! Justin returns to The O2 to perform again on Tuesday!! Better luck tomorrow, Biebsy!